Scholars writing in the sciences and social sciences typically use in-text citations, while humanities scholars utilize endnotes/footnotes. While the two basic approaches to citations are simple, there are many different citation styles. The way that citations appear (format) depends on the citation style, which is a set of established rules and conventions for documenting sources. Citation styles can be defined by an association, such as the Modern Language Association (MLA), publisher, such as the University of Chicago Press, or journal, such as The New England Journal of Medicine. The citation style that you use depends on the discipline in which you are writing, and where, or by whom, your work will be published or read. When in doubt, ask your professor if there is a particular style that he/she would like you to use. Where can I find more information on how to cite a specific type of source in a particular style? For examples of APA and MLA and Chicago Manual of Style, visit Purdue's OWL (Online Writing Lab) site. Frank, H. (2011). Wolves, Dogs, Rearing and Reinforcement: Complex Interactions Underlying Species Differences in Training and Problem-Solving Performance. Behavior Genetics, 41(6), 830-839. Frank, H. 2011. "Wolves, Dogs, Rearing and Reinforcement: Complex Interactions Underlying Species Differences in Training and Problem-Solving Performance." Behavior Genetics 41 (6):830-839. Frank, H. "Wolves, Dogs, Rearing and Reinforcement: Complex Interactions Underlying Species Differences in Training and Problem-Solving Performance." Behavior Genetics 41.6 (2011): 830-39. Print. Source: Gabriel, R. A. (2001). Gods of Our Fathers: The Memory of Egypt in Judaism & Christianity. Westport, CT, USA: Greenwood Press. Source: Bradt, J., Potvin, N., Kesslick, A., Shim, M., Radl, D., Schriver, E., … Komarnicky-Kocher, L. T. (2015). 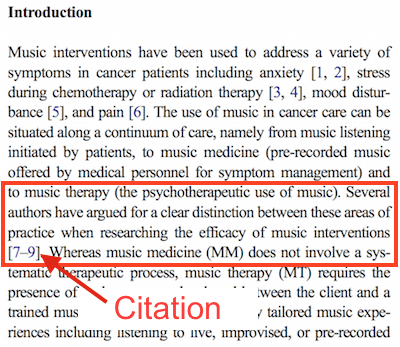 The impact of music therapy versus music medicine on psychological outcomes and pain in cancer patients: a mixed methods study. Supportive Care in Cancer : Official Journal of the Multinational Association of Supportive Care in Cancer, 23(5), 1261–71.